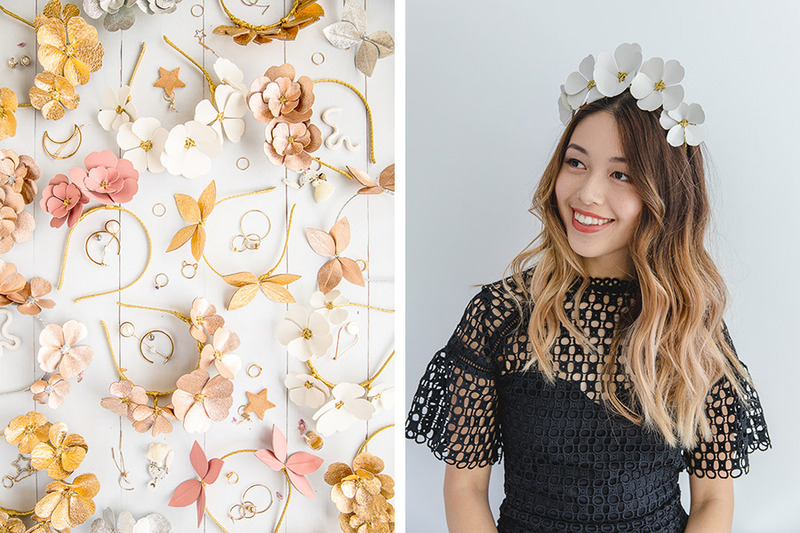 Many of you may already be familiar with multi-faceted label K is for Kani, who lights up Instagram feeds across the world! 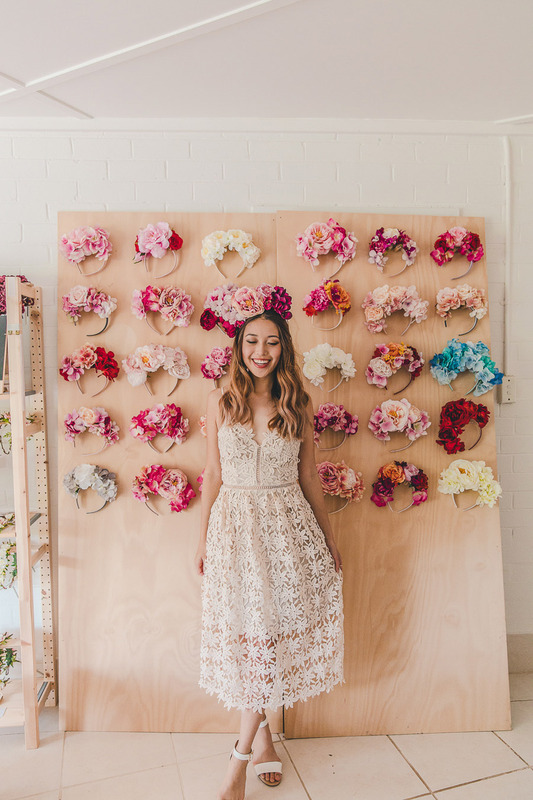 On the blog, we chat with the delightful Connie as she prepares for a stall at our Sydney market this weekend, featuring a plethora of handmade floral crowns and accessories. 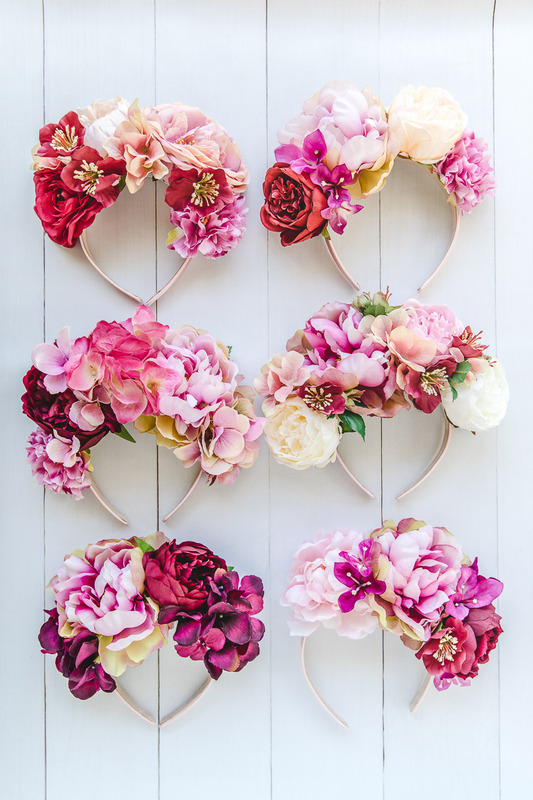 I started K is for Kani, an online store selling handmade flower crowns and accessories (perfect for weddings, spring carnivals, parties and more!) as a side project whilst studying Commerce & Law in university. 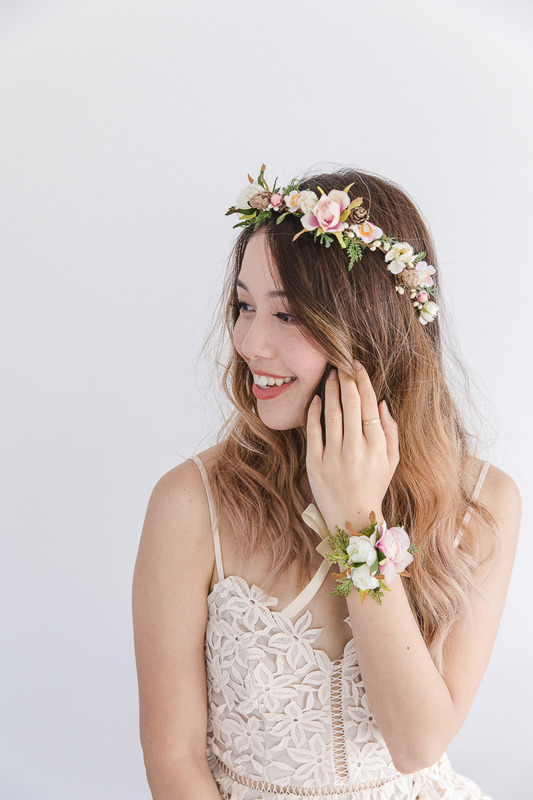 When I graduated, I decided to focus on it full time as I just loved the idea of creating my own products by hand and working on my own business. I always operated online only so when customers started asking if it was possible to visit in person or if I was going to be at any markets, I decided it could be something I have a go at. 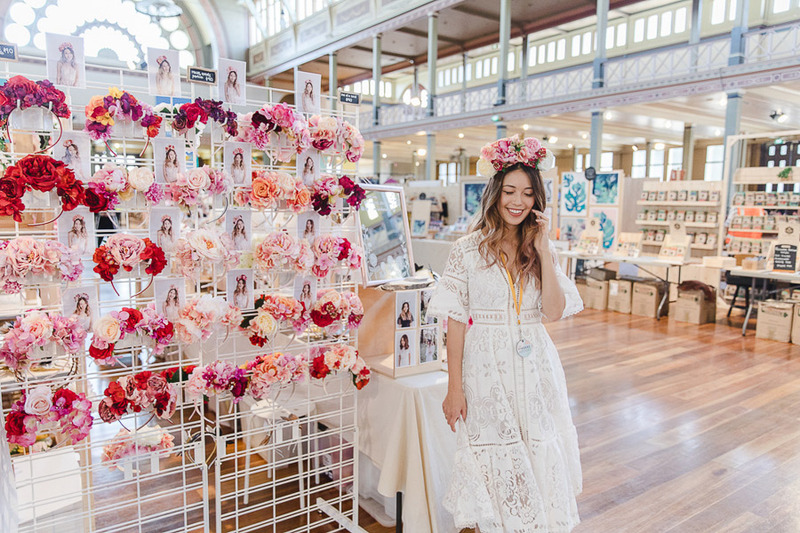 I love Finders Keepers – it’s always been one of my favourite design markets so I was super excited to be accepted at Finders Keepers AW 16 in Melbourne. 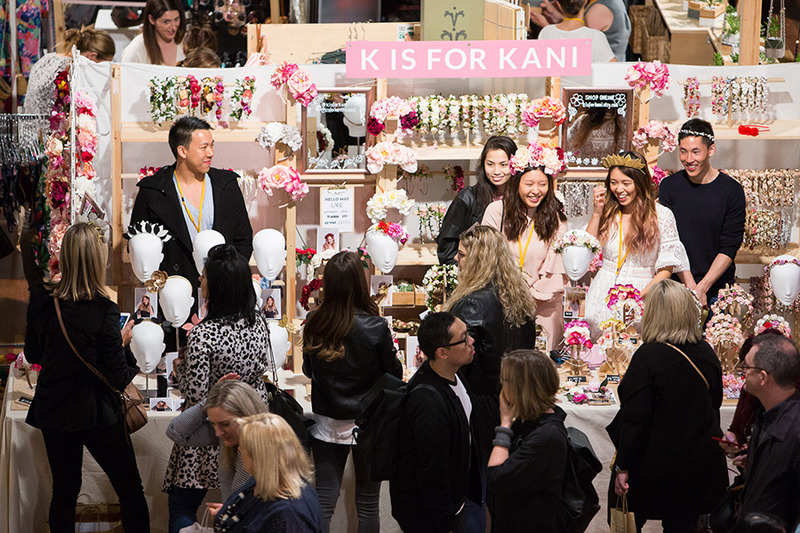 We’ve done every Melbourne Finders Keepers since and are excited to do the 9 hour drive up to Sydney SS17 Finders Keepers this December for our first ever interstate market! Talk us through a typical day in the life of K is for Kani. I currently work full time on my label and also work on a travel and lifestyle blog of the same name (www.kisforkani.com). I have a little studio area in my home which I work from and it’s so great being able to hop out of bed and straight to work! But of course, living where you work also comes with its drawbacks so I often do also spend long hours on my business. A typical day normally starts off with packing the day before’s orders, before moving onto either working on projects on my blog or designing and making new products for my shop. After lunch, I head to the post office to post orders followed by more computer tasks, styling shoots and making/creating. I often work late into the night as I’m often most productive then! I generally do everything by myself however my sister Rowena often works alongside me and helps with customer service, packing orders and all the photography too! I think the most important thing I’ve learnt from doing market stalls personally is to create a set up that’s portable and modular. You want to be able to mix and match your stall furniture so that it fits into all sorts of configurations and also to be able to transport it easily and be able to set it up yourself. It makes such a difference when bumping in and out – every time I try to better my stall, it’s always for this reason! My products are constantly inspired by the beauty of nature. I work with a lot of flowers so this is where I always get my inspiration from, of course. I also love looking at fashion inspiration and picking up on certain colour palettes and combinations to inspire my own products. We work with a lot of colour when creating our pieces. 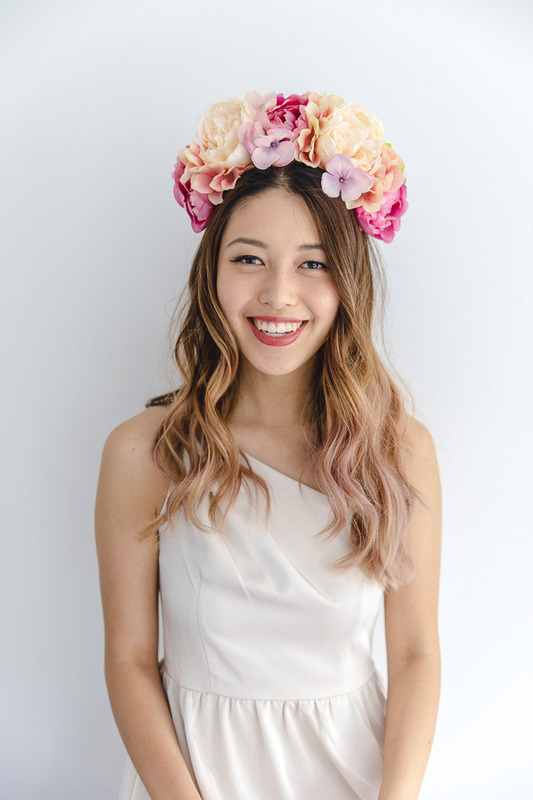 I love the designers at Finders Keepers – there’s always something new to discover each time and I just love meeting my neighbours! Some of my faves include Renee Waters, Kennedy Smith, Emily Green, Peta Armstrong, Marianna Marx, the list really goes on! I guess just being able to turn my passion into a business straight out of uni. It’s been a lot of hard work whilst I was studying and trying to get it all up, running and sustainable but I’m glad for it as I just love doing what I do.